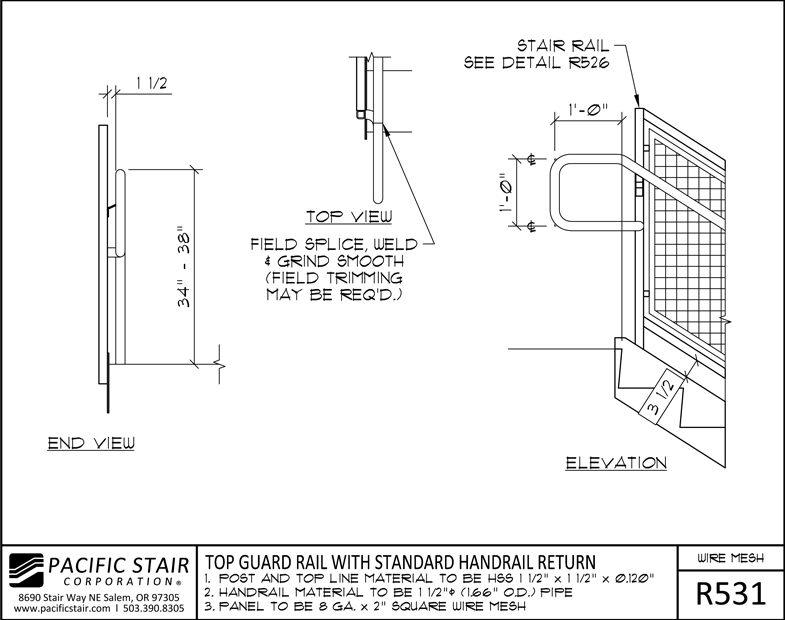 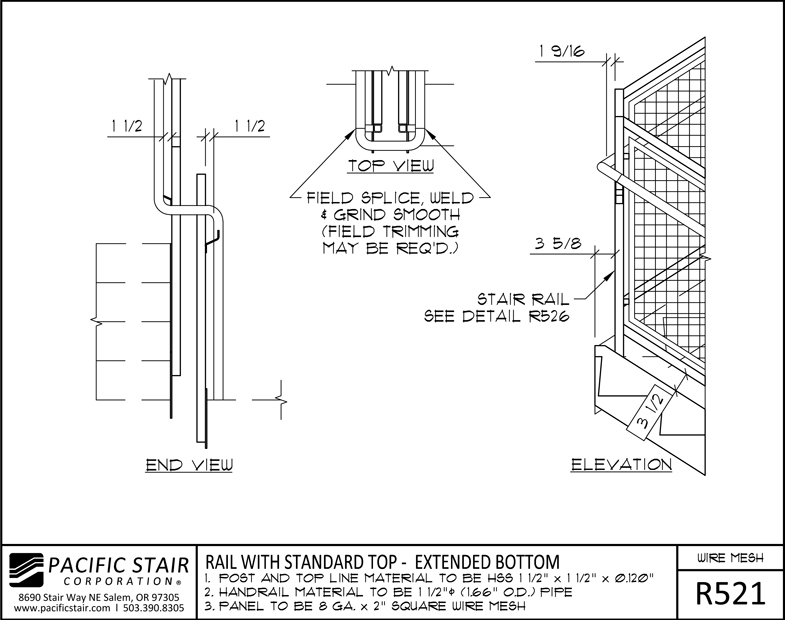 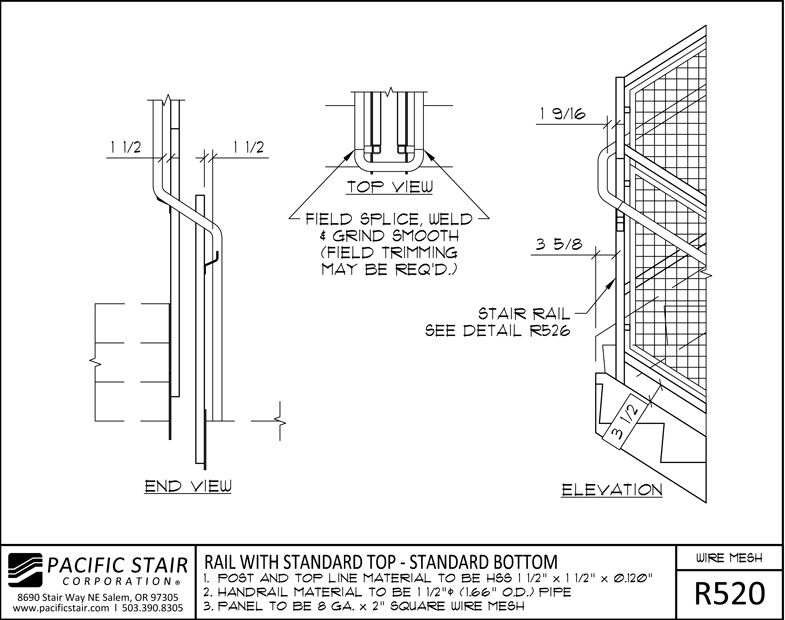 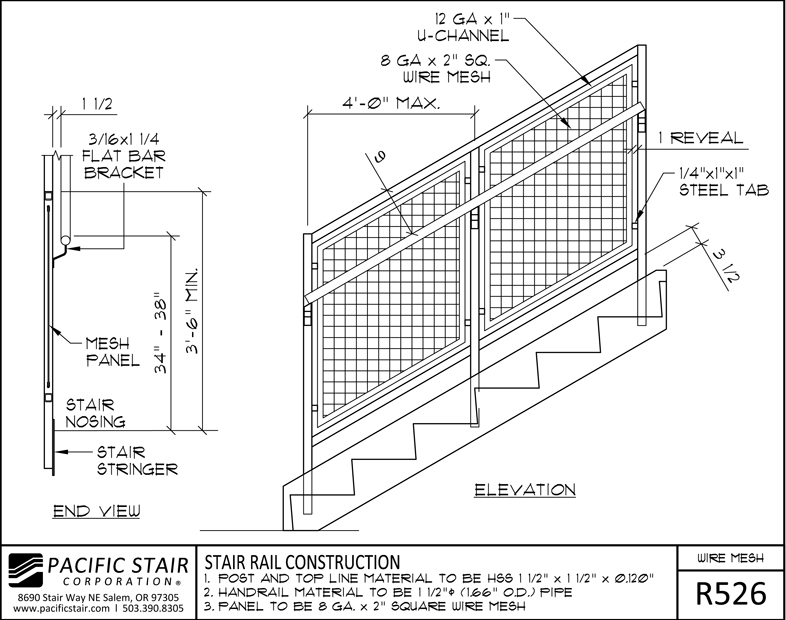 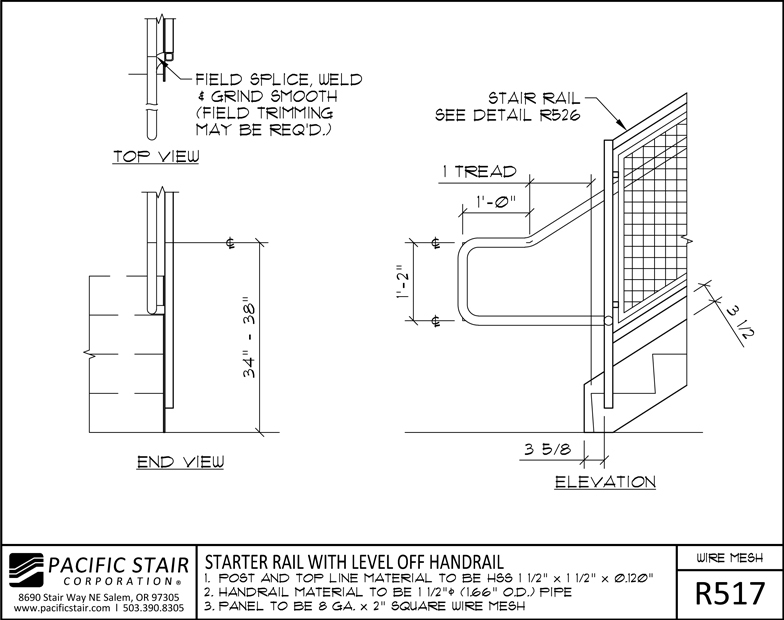 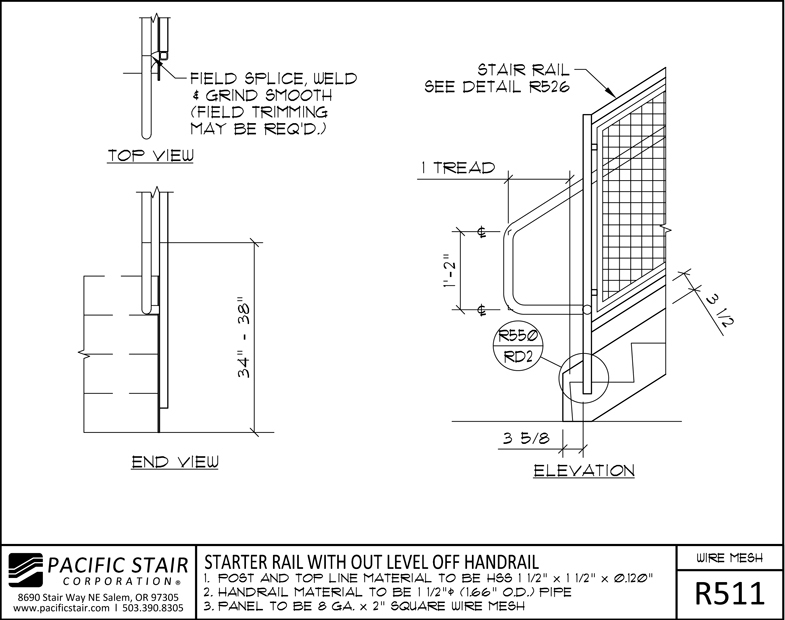 Pacific Stair Corporation's 500 Series Wire Mesh Rail provides an industrial design with ultimate protection. 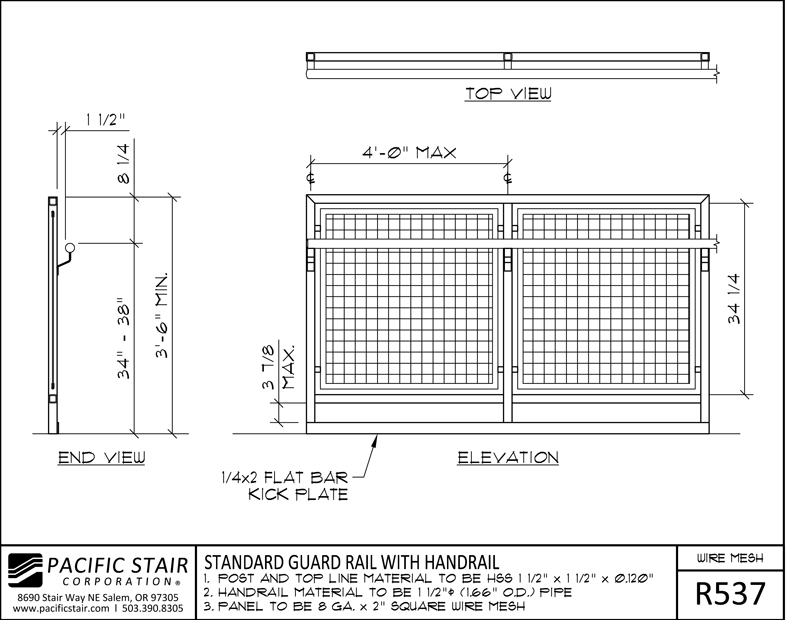 Our standard infill panels come with 2x2 mesh, though many other styles are available. 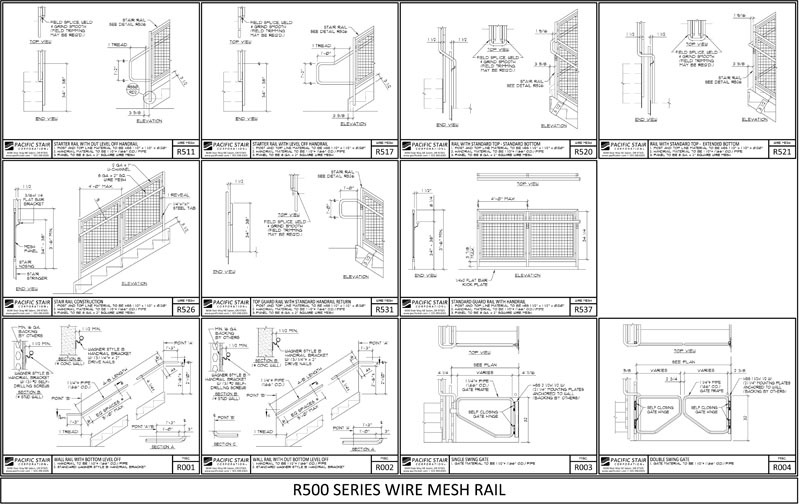 Our Wire Mesh Rail is ideal for climbing protection and provides a more secure, sealed-off system.